I'm a guest blogger for Go Graham Go! - Sukey Molloy! 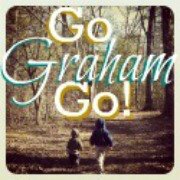 I’m a guest blogger for Go Graham Go! Play and Learning Together at Home – Pat the Ball! Ball play is a powerful tool for learning that the whole family can enjoy together. Lead up skills in ball handling help children build muscle memory in the body, help develop eye-hand and eye-foot coordination, and offer opportunities to build self-confidence. Read the rest of my blog post for Go Graham Go HERE. http://www.sukeymolloy.com/wp-content/uploads/2018/07/sukeynewheaderbrella.jpg 0 0 brianpearl http://www.sukeymolloy.com/wp-content/uploads/2018/07/sukeynewheaderbrella.jpg brianpearl2012-12-10 14:48:352012-12-10 14:48:35I'm a guest blogger for Go Graham Go! I’m a guest blogger for Teaching Stars! I’m a guest blogger for See Mom Work!